There’s good news for older borrowers as more lenders are now prepared to offer loans with an upper age limit for final repayment of 85 years. Former Government Minister and financial campaigner, Ros Altmann, has often drawn attention to the plight of those over 55 looking for home loans, commenting that they are “facing age discrimination in the mortgage market, with companies refusing to lend purely on the grounds of their age, rather than their income”. 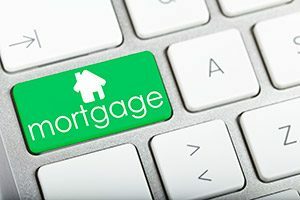 Since the introduction in April 2014 of tighter affordability criteria, part of the government’s Mortgage Market Review, many high-street banks and building societies adopted a cautious view when it came to lending to older borrowers. This was especially true where the mortgage loan would be repaid after the borrower’s retirement. Rising house prices and the time it takes to amass a sizeable deposit have meant that house purchase decisions are made later in life. Many older couples are divorcing, remarrying and buying new properties. The changes to pension rules mean that more cash can be released earlier, and tax-free lump sums have been a contributory factor in the recent rise in buy-to-let property purchases. What rate do you pay on your mortgage?